The New Straits Times (NST) news headline read: “Malaysia maintains 35th spot in Global Innovation Index 2016”. Is that anything to shout about or to be proud of? “I say no. 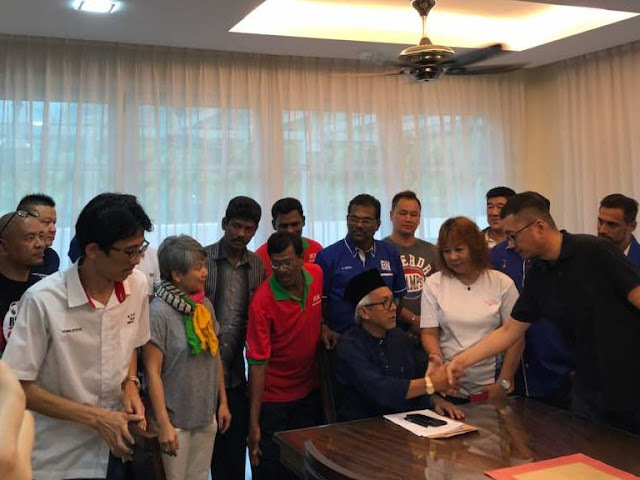 If we want to really succeed in achieving developed nation status, Malaysia must be in the Top 20,” Gerakan Deputy Speaker Syed Abdul Razak Alsagoff said. 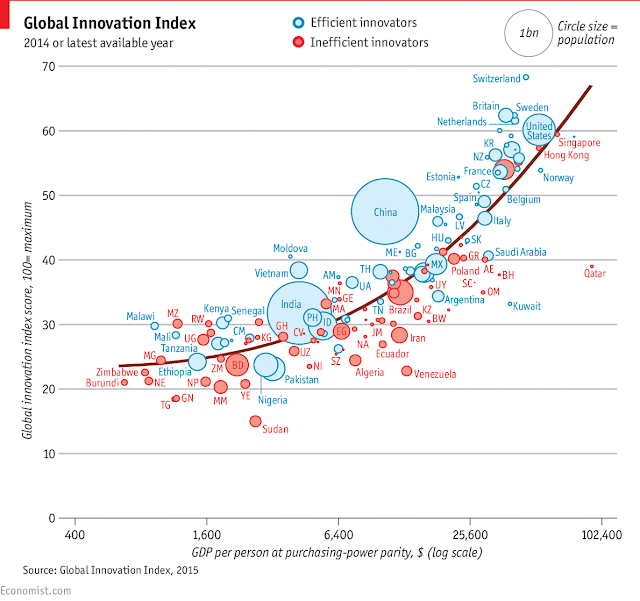 “Yes, ranked 35th among 128 countries looks good at a glance. But, really, it is nothing to shout about. 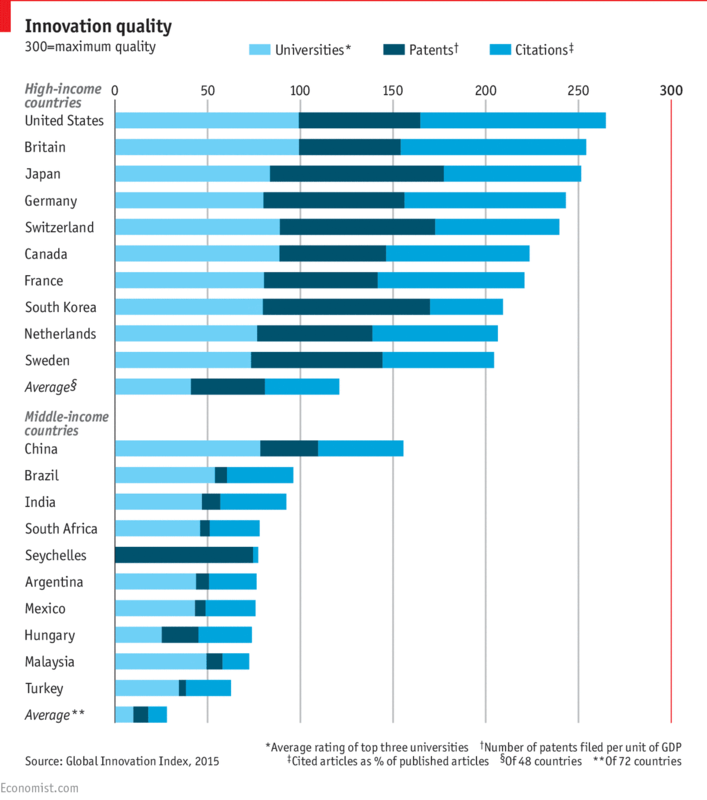 We need not take account into those countries below the 20th position. “We don’t, and it is a folly to compare Malaysia’s performance with the weaker and poorer countries. We must strive to get into the Top 20 and kick some other country out. “Now, that’s shouting to crow about … something to be proud,” he added. “Until we are able to make such breakthroughs consistently, Malaysia will remain where it is or even falter further,” he added. It is also relevant to reiterate and note Khazanah Research Institute (KRI)’s report (released on April 28, 2017) that more than half of jobs in Malaysia face a high risk of being lost to automation over the next two decades. 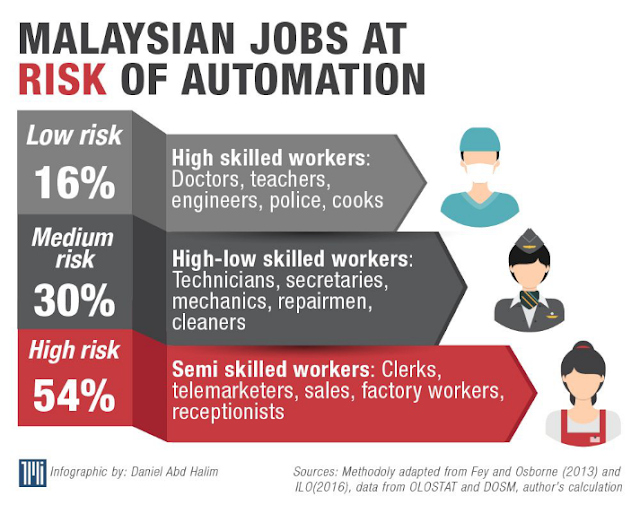 KRI identified four of five of these jobs are semi-skilled workers such as factory workers, clerks and telemarketeers and that 90% of these semi-skilled jobs are held by Malaysians. The KRI report on technology, employment and the Malaysian economy says the country risks deindustrialiation if it does not adopt labour-saving technologies. Syed Razak said: “Co-incidently, the KRI report was made public three days after The Kansas City Star/Tribune News Service news report posted by The Star Online on April 25, 2017, titled ‘We’re clueless about the coming robot job takeover, report says’. “The report warned that robotics and artificial intelligence are retooling the workplace faster than we can make sense of it. The report asked: ‘What should we do, for instance, with the taxi drivers and long-haul truckers who could see their livelihoods evaporate with the evolution of self-driving vehicles? “Again, I ask, what are our governments (state and federal) doing about it to prepare Malaysians for the robotics era which most certainly need much innovation. “Is our education system, up to tertiary level, able to churn out innovative talented individuals for a quality and relevant workforce or human capital to meet the needs of a developed nation? 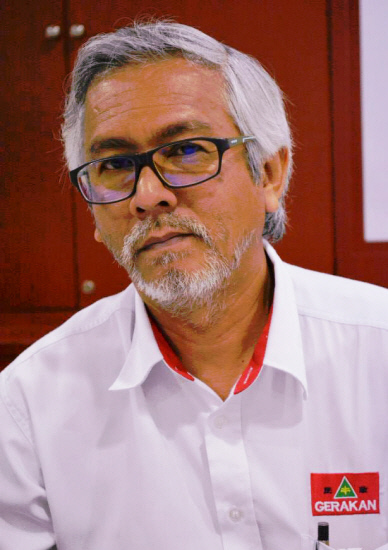 “If not, it is high time for our Education Ministry to overhaul the system to suit current and future needs of a developed Malaysia. If not, we will continue to meet the fate or demise of Vision 2020,” Syed Razak said. Kuala Lumpur: Malaysia maintained its position in the Global Innovation Index (GII) at the 35th spot once again for 2016. The ranking is favourable out of the 128 countries participating in the GII, which is aimed at encouraging the creation of intellectual property and innovation. In the upper-middle-income economies group, Malaysia stood at the second spot, just after China. MyIPO chairman Datuk Seri Abdul Manan said although there have not been any significant changes in Malaysia’s position in GII, it was interesting to note that the number of participants have increased. “We are on the right track. I believe that this year, we will be able to move up the ranks, as the number of registered participants is very promising for the first quarter of 2017,” he said."